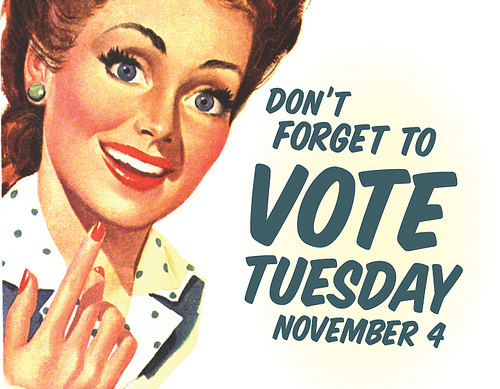 Today is Midterm Election Day and as millions of people in states all over the country head to the polls to cast their votes for Senate, House of Representatives, and Governor, along with important State Legislature races, there are several races that stand out over others. This is the big one. Right now the Senate is controlled by the Democrats, but with several long-term incumbents choosing to retire, several states have completely open fields. Seat is currently held by a Democrat. This race right now is dead even. The polls for this Senate race have been up and down over the past couple months, but right now, the polls show a tie going into Election Day. This is another incredibly close race, but the polls are leaning toward Gardner. Udall had a strong a showing in his last election. He could pull this out, but it is a stretch. Seat is currently held by a Republican. This is seat has been held by Saxby Chambliss (R) since 2003. This election, Chambliss chose not to run for reelection. Too bad because this race has become one of the most interesting in the country. A typically Red state, with the help of several Democrat get out the vote groups, are turning this deep south state purple. The polls are evening leaning toward Nunn, which is huge for Georgia Democrats. Another incumbent stepping down, opened the door for typically purple state Iowa to have another contested Senate election. The polls are leaning toward State Senator and Lt. Colonel Joni Ernst. This race is a bit different from the other races mentioned above. Incumbent since 1997, Sen. Pat Roberts is behind in the polls to Greg Orman. Many polls are leaning toward the Independent, with many pundits calling this race an upset for Orman. This is by far one of the weirdest Senate races. Scott Brown used to be a Senator from Massachusetts. After losing to Sen. Elizabeth Warren (D) two years ago in 2012, Brown has now decided to travel north over the border and run for Senate in New Hampshire. Sen. Jeanne Shaheen is having none of this faux carpetbagging from Brown. Polls are showing a Shaheen lead. Polls show incumbent Sen. Kay Hagan holding a slim lead against Thom Tillis.However, as North Carolina has shown in the past, this purple state could go either direction. Overall Prediction: Republicans pick up a majority in the Senate. This race should have been in the bag for Hickenlooper, however the polls show the race is incredibly close. Another hotly contested gubernatorial election. Polls are showing this race in a dead tie. The only reason Gov. LePage has a possibility of winning, considering his approval ratings are dismal, is potential vote splitting between Michaud and Cutler. As much as I would love to see Michaud win, which would make him the first openly gay Governor, it is looking bleak. This is probably one the gubernatorial races to keep an eye on. Scott Walker is a potential 2016 Presidential candidate. He even won a recall election in 2012, which says several things about how his constituents feel about him. Polls show him holding a lead.